An efficient in-store operation delivers improved availability and more shopable stores at the same time it reduces set-up time on the shop floor, lower labour costs and quicker turnaround. A faster fulfilment and replenishment encourages shoppers to browse and spend more. Your designers can create customised packaging display units for every store format to drive effective merchandising. It ensures fuller shelves and a clutter free environment, providing a better shopping experience that encourages shoppers to browse and spend more. Customers are making more top-up shops, with smaller basket sizes, placing an emphasis on easy-to-shop environments, price and availability. 3-in-10 shoppers will either leave a store or buy nothing if they can’t find a product they want. The increase in sales and time saved compared to placing products on shelves is remarkable. CHEP Quarter pallets were also shown to provide better stock control in the stores, reducing stock-outs. In Spain, AhorraMas a major manufacturer trialled the CHEP quarter pallet for six weeks with 2 SKUs at retail chain. 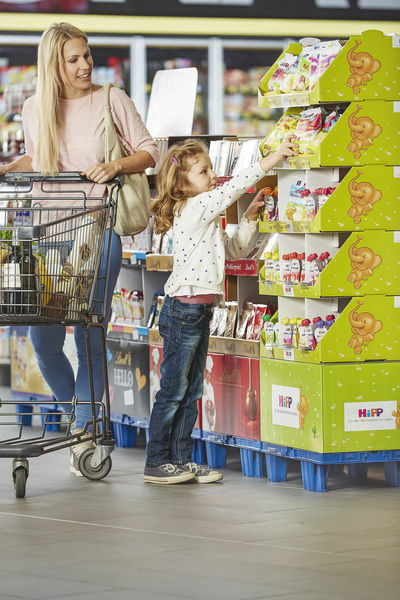 When compared with normal shelf placements, both SKUs saw increases in sales across all areas ranging from 28% at shelf location to 121% for shelf ends. We provide co-packers and design agencies with pre-tested guidelines and specifications endorsed by retailers, to ensure the production of high-quality units.